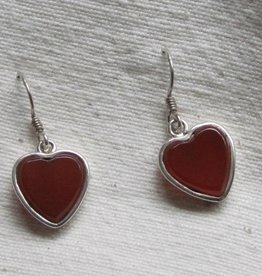 Cornelian and silver heart shaped earrings. Handmade in a workshop in Jaipur, India, with good working conditions. The cornelians are also hand cut. 1.50cm excluding the fish hook. Fairly made from silver.